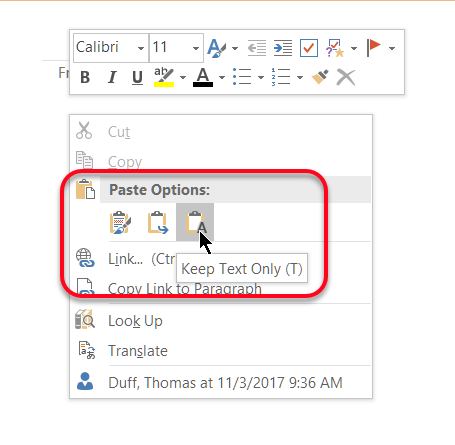 This tip was pointed out to me by a colleague and was originally pointed out in this post Can I set the default paste in OneNote as “Keep Text Only”? It’s a nice way to make OneNote paste content in the way that’s most applicable to your working style. From now on, your regular pasting into OneNote will use that default Paste style without you having to use multiple mouse clicks.